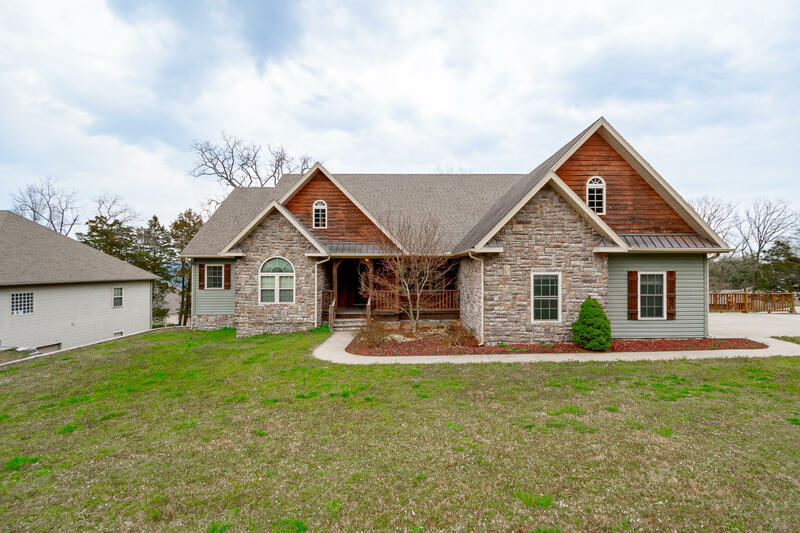 Welcome to this beautiful, custom built Craftsman style home conveniently located off 65 Hwy near Bee Creek and the RecPlex. Sit on the front porch while reading a book or entertain outside on one or both of the 2 large decks. The Great Room features a beamed cathedral ceiling with beautiful built-ins, wood flooring and a fireplace. The open floor plan also boasts a columned, coffered ceiling formal Dining Room. The Kitchen features granite counters, breakfast bar, stainless steel appliances and custom cabinetry. 4 of the 6 bedrooms are located on the main level. The Master Suite includes 2 walk-in closets and an en-suite with a corner whirlpool tub, and double sink vanity. The finished Lower Level boasts of a 26x26 Family Room complete with walk-out to the lower deck and a wet bar.